In the Cyclades Islands, the fight is raging. A sixth Greek city has joined the fight. With the help of an ally, use the power of the Titans, who are sworn enemies of Olympus, with a goal of either controlling 3 cities, or 5 divine artefacts. More aggressive. More epic. 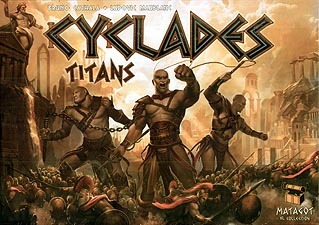 Rediscover the game Cyclades!